This fabulous line of diecast aircraft is great collector's item for every pilot. 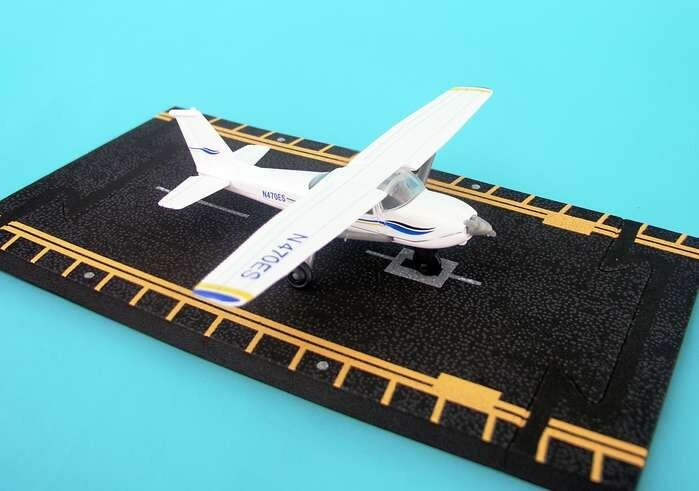 This model is Hotwings Cessna 172 model. Hot Wings features a large variety of vintage and modern aircraft, ranging from bi-planes to the most recent jet and helicopters, in military, commercial and private body styles and in a variety of color schemes. Each model also includes a section of runway material as well as a collectable information card with facts about the plane. ***Straight and intersection runway sections also sold separately. Have a great game of cards with the Airplane Spotter Playing Cards.